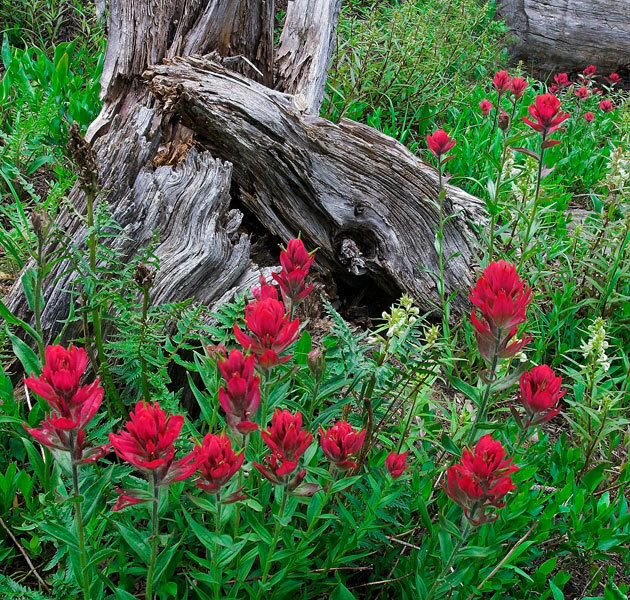 Most people think of Indian Paintbrush as red, but it can also be found in shades of pink, salmon and orange. Paintbrush blooms from June to mid-August, depending on the elevation. This photo was taken above the timberline in Robinson Basin near Crested Butte. I like to photograph wildflowers on overcast days, because the diffused light reveals fine detail and saturates the color. Photo © copyright by Mike Barton.